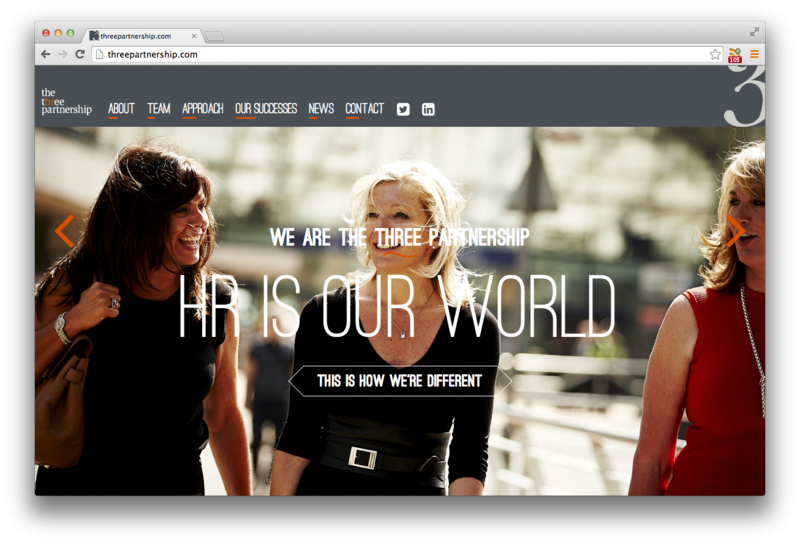 Three years on, our client Three Partnership looked to refresh and update their website inline with the businesses success. Following a briefing session with the client, it was apparent that the success of the business centered around the client’s working relationship both with their clients and each other. This chemistry and personality is something that was unique to them and that needed to come across on the website. In order to achieve this we recommended a photoshoot to capture key shots of the directors. The photoshoot was led by our creative team and took place in Manchester in order to capture the right look and feel for the shots.